A unique collection! 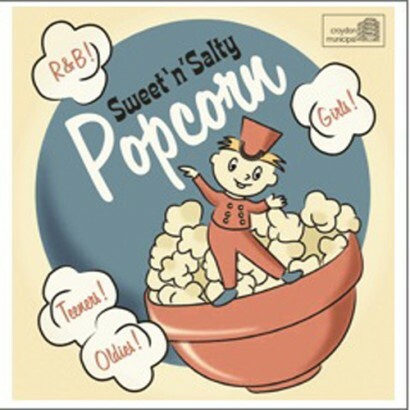 The first ever UK compilation of Popcorn, the continent’s answer to the Northern Soul scene. The atmospheric sound of Popcorn has been an underground club phenomenon in Belgium since the late sixties, and has spread across Europe and hit British clubs in the last ten years. Contains mod R&B rarities and club favourites like Jackie Weaver’s ‘The Tingle’ and Steve Karmen’s ‘River In My Blood’, as well as rarities by stars such as Johnny Nash and Roy Hamilton. Extensive sleeve-notes explain the history of the Popcorn scene, recently documented in Frieze magazine. Will appeal to fans of soul, girl groups, Latin grooves, R&B and fifties rock’n’roll. Most of these tracks appear on CD for the very first time. This album has been mastered by Pete Wiggs of Saint Etienne, using the latest software to ensure the best possible sound.